I remember a mother once telling me that her son would not be able to attend camp. I was surprised because he was pretty involved in our group and I hated to know he would miss a great week of ministry. I offered to help if it was a financial issue but she told me that wasn’t the case and we moved on. I found out later that the reason her son didn’t attend camp was because his parents had signed him up for a speed camp. This camp took place during the same week as our summer camp and so a decision had to be made. 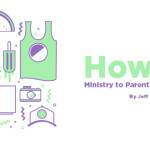 While I respect every parent’s decision to choose what is best for their child, and I certainly don’t equate every ministry event as mandatory, this was a situation that caused me to stop and think about priorities. Because this student was in the 7th grade. It’s not like he was about to commit to a college or try out for a key starting position on the team. He was 13 years old and, while certainly athletic, probably not the next Aikman, Manning, or Brady. But even if he was, did he need this level of involvement at such an early age. And if so, at what cost? Help parents embrace reality. I once read a statistic that a student is more likely to get struck by lightning than make it into professional sports. The real numbers are quite revealing. In football, for example, the NCAA reports that only about 6% of high school athletes will make it into collegiate levels. Of that group only 2% will make it into the pros. Keep in mind that these stats only account for students who play HS sports, not all students in total. Now, I have rarely met a parent who doesn’t think their student is the special one. He or she is clearly part of that 6%. Despite what appears to be clear evidence, most parents won’t be persuaded that their child is probably average at sports. And it really isn’t our job to tell them any different. 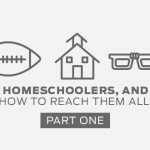 Perhaps their student ends up participating in collegiate sports, and maybe even makes it to the pros. But it is our responsibility to help parents ask the hard questions about what they want their child to be focused on at this critical stage of life. Remind parents to think about their own teenage years. What decisions did they make? 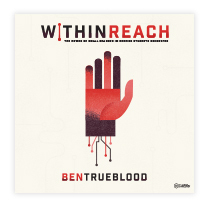 How did their worldview develop? What role did Christ have in all of that? When parents are encouraged to think about what is most important – Jesus and His mission – they are more likely to make wise decisions about discipleship. Be a source of inspiration rather than condemnation. I have made many statements about parents who seemed to care more about extracurricular activities than Jesus that I would like to take back. It really isn’t my, or your place to judge a family’s decision in this area. But you and I can be a source of inspiration for families as they navigate these challenging years with their student. 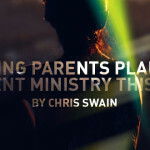 Think of the refreshing change of pace it might be for a parent to have you ask how you can pray for their student and family through the process rather than feeling terrible for not making every church activity. Show up at student’s games and text parents encouragement rather than casting a negative word or a judgmental question. 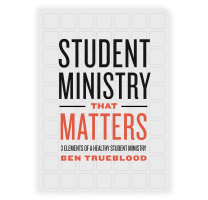 Likewise, don’t be that student leader who appears to only care for and minister to the jocks in your ministry. Sports, no matter how much you love them, shouldn’t be elevated to the same level of attention and worship as our God. Families and students will cue off of you. 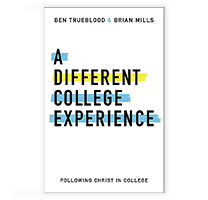 If you focus on sports with more fervor than you focus on Christ, you can communicate just the opposite to families walking through decisions about what their students will do. Find a balance as you seek to help families find a balance in this area. Equip families to minister. At one church I served, attendance took a dive when baseball season hit. Several families had students on traveling teams, which often meant they would be gone for entire weekends for a couple of months. Rather than calling them all in and asking how they could trade their meeting together as a body of believers for the grind of baseball tournaments for their junior high students, I personally invited every parent who coached, assisted, or led on these teams that was a member of our church. I asked them how I could help them minister to the families they would be in contact with throughout the season. The result was providing them with some short inspirational studies that connected with a Bible passage. These parents were then able to share with teams prior to game time. Equipping families to do ministry where they are can be a great opportunity to help them embrace God’s mission and grow while they are away. It may take a change of perspective, but it can be a great way to help families be missional. Extracurricular activities can be a challenge when it comes to our programming and events, but they don’t have to be the enemy of our ministries. Student sports, specifically, have the potential to derail some of our plans, but they also provide an avenue to reach the community that might not exist any other way. We must learn to hold families accountable while encouraging and equipping them to be on mission for Christ.